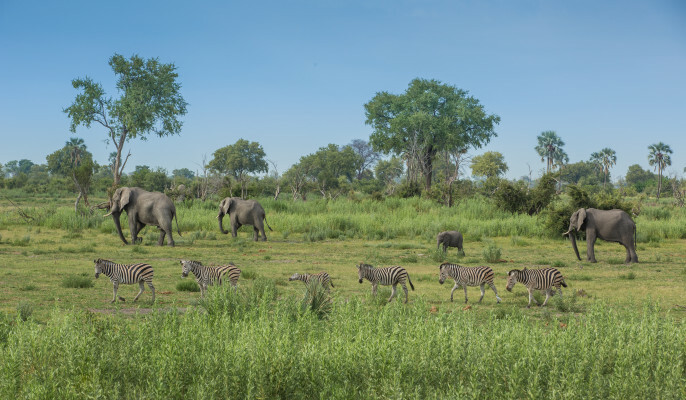 Botswana is reveling in the arrival of summer. The days are hot, and wildlife is thriving. Clear skies have afforded guests some spectacular evenings dining out in the bush. Machaba and Little Machaba have experienced some incredible sightings in the last few months. 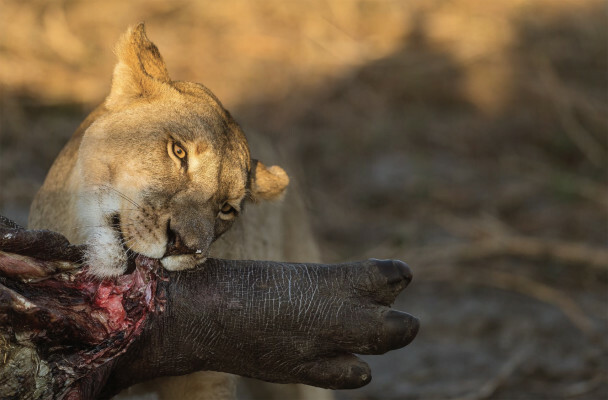 The death of a hippo in the marsh next to the camp attracted scores of lion and hyena, a well as all the other scavengers they frequent a kill sighting. The excitement allowed for some amazing photographic opportunities for our guests. 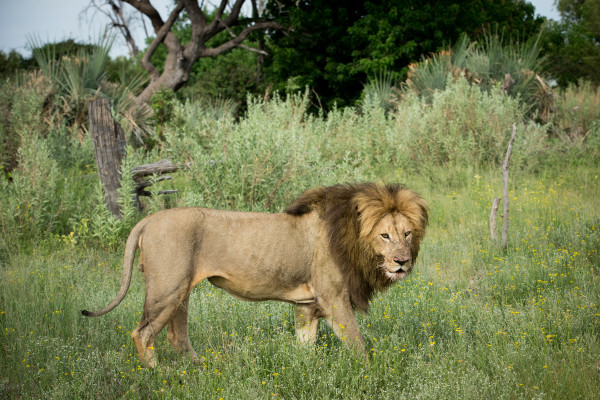 A rather sad story reminding us all of the complexities of nature developed near the Maghoto area: an elephant cow died in labour, attracting one of our resident male lions. The following day he had managed to pull the stillborn calf out and feasted on the remains for some time. This carrion scent attracted a male leopard. Needless to say, a lion and leopard sharing a meal was a rare and unusual sighting for all able to view the spectacle – did they get along? Of course not, but both managed to get a share of the spoils being in each other’s close proximity. Wild dog activity has been exceptional as well. Unfortunately, a lot more pups were lost – the pack is down to only 3 pups surviving. Their killing sprees have been regular and exciting to watch. They have crossed the river several times over the last weeks. As for our leopards, what can we say! They have performed over and above their normal duties. 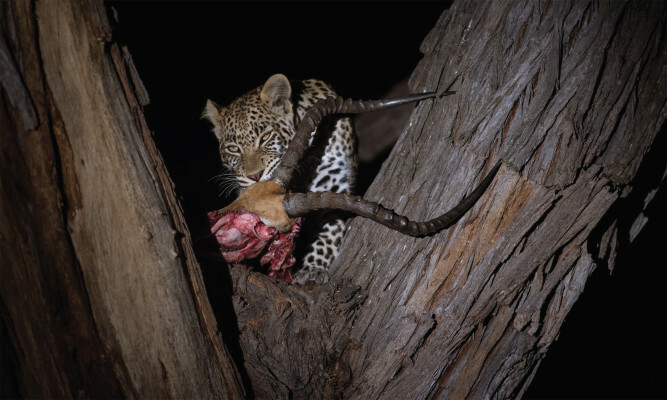 Leopards killing lechwe and impala, pulling them up trees or feasting on the ground – we have seen it all! Not a day has passed where guests have not seen a leopard or two and even three in one day. Wild cats have been spotted frequently during night drive expeditions as have honey badgers and serval cats have been making some more appearances as well. The hyena den is occupied once more and the yelps of little cubs are heard when watching their den. Although the pups have not yet made an appearance, we are all waiting in anticipation for these gorgeous creatures to surface. 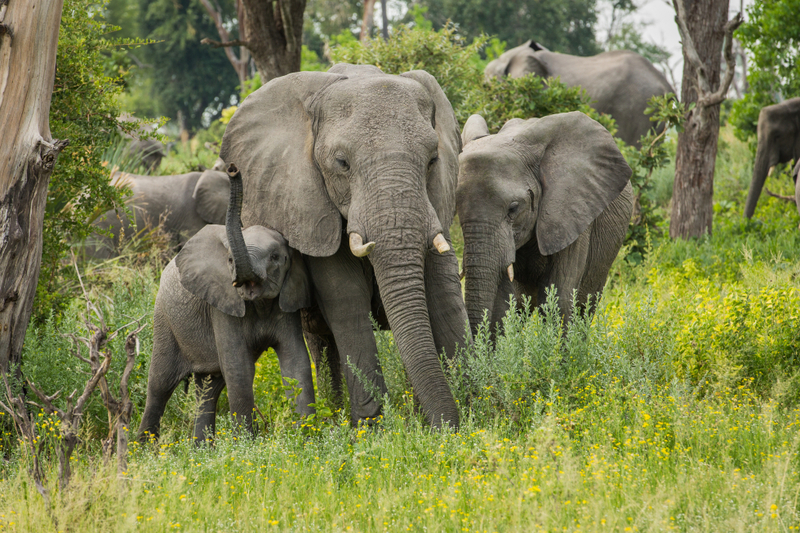 Large herds of buffalo and elephants have been spotted in the concession. Both love the riverine landscape in particular. The rains have held out so far, making the temperatures soar high. It has, however, made for some amazing game viewing! We look forward to the rains that it will hopefully bring! We are delighted to advise that Machaba Camp has been recognised in the World Luxury Hotel Awards having been awarded Continental Win – Africa, Luxury Tented Safari Camp.